IPL looks strong and more competitive this year and all teams look quietly balanced when it comes up to their combination. The tournament is becoming more challenging day by day and tomorrow in the 29th encounter of the IPL Kolkata Knight Riders, will lock horns against Chennai Super Kings. The host KKR will look to take the revenge of their last defeat at their home ground. It will be an opportunity for the KKR to teach some tough lesson’s to Dad’s army i-e- CSK. 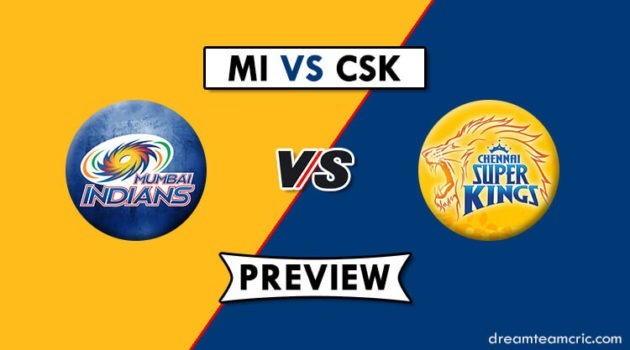 We are covering KKR vs CSK Dotball Team Prediction, Preview and Probable Playing XI for the T20 match. 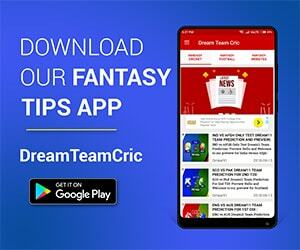 CSK are yet again having a dream season, and the Dad’s army is have already won 6 matches out of 7 and are most probably confirmed to qualify for the playoff when we look forward to their team form. Shane Watson and Suresh Raina have to make a comeback into their prime. Raina and Watson looked pale with their bat till now. They have the abilities to make impossible tasks possible for the team in crucial matches. No other voids except their fielding are exposed to any team. Players are dropping 2 to 3 catches at an average in every match. In crucial matches, it might turn out to be against CSK. KKR look pretty high on the charts this season and the credit goes to their one and only star all-rounder Andre Russell who looks to be in his golden form of the IPL. Although KKR is on the 2nd position in the table they are struggling with the fitness of their foreign players. It is not confirmed whether Chris Lynn and Sunil Naraine are available for the match against CSK or not. Dinesh Karthik looks out of form, which has been a headache for the management, till now he has not been able to play a single good inning for KKR, and the tournament is already halfway down. So, it will be another chance for the captain of KKR to play some wonderful innings for his team. Recently the form of Kuldeep Yadav has been dropped very badly with the bowl. He is not in his top-notch form and the team needs important breakthroughs from him in the middle overs. He needs to do well if KKR wants to qualify for playoffs. CSK (111-3, 17.2 overs) beat KKR (108-9, 20 overs) by 7 wickets, Chennai. No changes are expected in CSK playing 11 after a thrilling win against RR. Harbhajan Singh will have to wait a little more to get back into the team, although he is performing exceptionally well with the ball in this season. KKR will look to opt a couple of changes in the playing 11 after a humiliating defeat in the last match. Carlos Brathwaite will make a way for H Gurney whereas it is expected that Sunil Naraine will be included in the playing 11 if he is fit to play. Joe Denly will expect another chance after his bad start to the IPL career. Availability of Chris Lynn and Sunil Naraine is still a big question. Matt Kelly is going to replace the injured A Nortje in KKR, he will look to join the squad tomorrow but will be available against CSK or not is still a question. Kolkata Knight Riders: Joe Denly, Shubman Gill, Robin Uthappa, Nitish Rana, Andre Russell, Dinesh Karthik(w/c), Carlos Brathwaite, Piyush Chawla, Kuldeep Yadav, Lockie Ferguson, Prasidh Krishna, Chris Lynn, Rinku Singh, Nikhil Naik, Shrikant Mundhe, Sunil Narine, Sandeep Warrier, Harry Gurney, Yarra Prithviraj, KC Cariappa, Matthew Kelly. Chennai Super Kings: Shane Watson, Faf du Plessis, Suresh Raina, Ambati Rayudu, Kedar Jadhav, MS Dhoni(w/c), Ravindra Jadeja, Mitchell Santner, Deepak Chahar, Shardul Thakur, Imran Tahir, Murali Vijay, Sam Billings, Dhruv Shorey, N Jagadeesan, Ruturaj Gaikwad, Dwayne Bravo, Scott Kuggeleijn, Chaitanya Bishnoi, Harbhajan Singh, Karn Sharma, Mohit Sharma, KM Asif, Monu Kumar. Kolkata Knight Riders – Chris Lynn/Joe Denly, Subhmann Gill, Robin Uthappa, Nitish Rana, Dinesh Karthik (C&WK), Andre Russell, Carlos Brathwaite/ Sunil Naraine, Piyush Chawla, Prasidh Krishna, Kuldeep Yadav, Lockie/Gurney. Chennai Super Kings – Shane Watson, Faf Du Plesssis, Suresh Raina, Ambati Rayudu, MS Dhoni (C&WK), Kedhar Jadhav, Kuggeleijn, Jadeja, Chahar, Shardul and Tahir. Shane Watson will be an important player in this match. As we know IPL is almost halfway down and Shane Watson is still searching for a big inning from his bat. In this season Shane Watson has played 7 matches and scored only 92 runs. In the past, we have seen his descent comebacks with the bat. Tomorrow might be his day to do something big. If he blasted, it will be icing on the cake for CSK. Suresh Raina, also known as MR. IPL is not able to perform up to the expectations of the fans. He showed some glimpses of his good form but is not able to convert his good starts into big ones. In total 7 matches played by him this season, he has scored only 136 runs. KKR is his one of the favorite teams, who knows KKR bowlers have to face Suresh Raina brilliance on the ground of Eden Gardens. The skipper of KKR is not in his top-notch form but is expected to come back strong in the upcoming matches for KKR. He needs to perform well to catch an eye of the Indian selectors for the upcoming World Cup 2019. Shubhman Gill another interesting talent in KKR is expected to carry on his great form. In the last match, he was asked to bat in the top order and he scored a brilliant 50 for KKR and management will look to offer him some more chances n the upcoming matches. So he will be a key player to watch out in this match for KKR.